You are probably expecting me, a Nutritionist, to have lots of restrictive rules about eating on Thanksgiving. Well, I don’t. In fact, I subscribe to the view that it is only one day. If you want to overeat, that’s fine. If you don’t want too many veggies, you’ll survive. If you want two desserts, have at it. It’s a holiday. Enjoy yourself. Just keep it to the one day. That being said, if you don’t want to completely overindulge, here are my 6 essential tools for a healthy happy Thanksgiving. Thanksgiving is such a wonderful holiday when friends and family come together to enjoy good food and great company. But if you are hosting, the last thing you want to do is send everyone home with food poisoning. The only reliable way to make sure your meat is cooked to a safe internal temperature is to use a food thermometer. It will also stop you from overcooking your meat. And the last thing anyone wants is dry turkey, right? 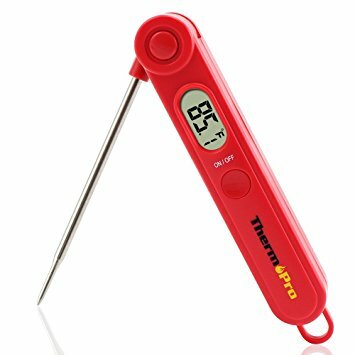 This Digital Food Cooking Thermometer is perfect for making sure your meat is still juicy and delicious, but safe to feed to your guests. Homemade gravy is so much tastier and healthier than store bought. While it can seem daunting to make, it is in fact very easy. But there is one tool you will need. 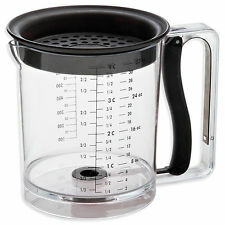 A fat separator jug. You put your meat juices in the jug and let it sit for a few minutes. The fat will all settle on the top, and the beautiful meat juices will stay on the bottom. This particular Fat/Gravy Separator drains from a hole in the bottom which is opened by squeezing a lever in the handle. It means you can drain all the juices out without getting any of the fat in your gravy. If you want to avoid adding too much salt or butter to your Thanksgiving meal, try to focus on adding fresh healthy flavors instead. Citrus zest, freshly ground nutmeg, ginger, or garlic, or even a little shaving of fresh parmesan can go a long way in the flavor stakes. 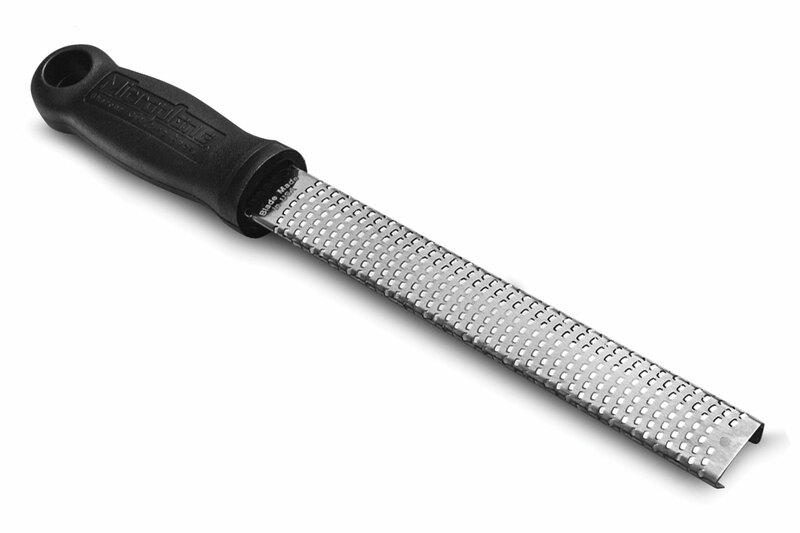 This Microplane Zester/Grater makes zesting and grating a breeze. My food science professor once told me that buying one of these would change my life. I think she might have been right! The one rule I have for myself at Thanksgiving dinner is that I must fill half my plate with salad and vegetables. It helps me avoid that button-popping stuffed feeling that comes after eating too many bread products and creamy side dishes. To make sure I can follow my rule, I always take a salad and a vegetable side as my contributions to the friendsgiving potluck that we attend every year. 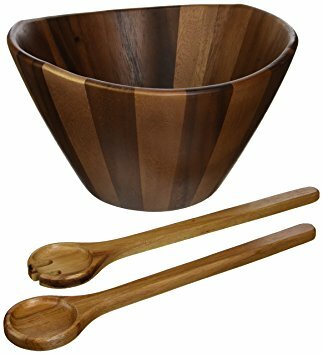 This gorgeous acacia Salad Bowl with Servers is a beautiful way to serve some healthy greens as an antidote to the creamy, rich dishes that are so often found at Thanksgiving meals. Thanksgiving is an excellent time to get the kiddos involved in preparing food. My 7 year old loves to take on whole recipes alone, and I love to encourage her enthusiasm. While she is getting pretty good with a knife, I still find myself hovering. That is why I bought this amazing Nylon Knife Set . It is sharp enough to use on most foods, but is unlikely to cut through a finger. 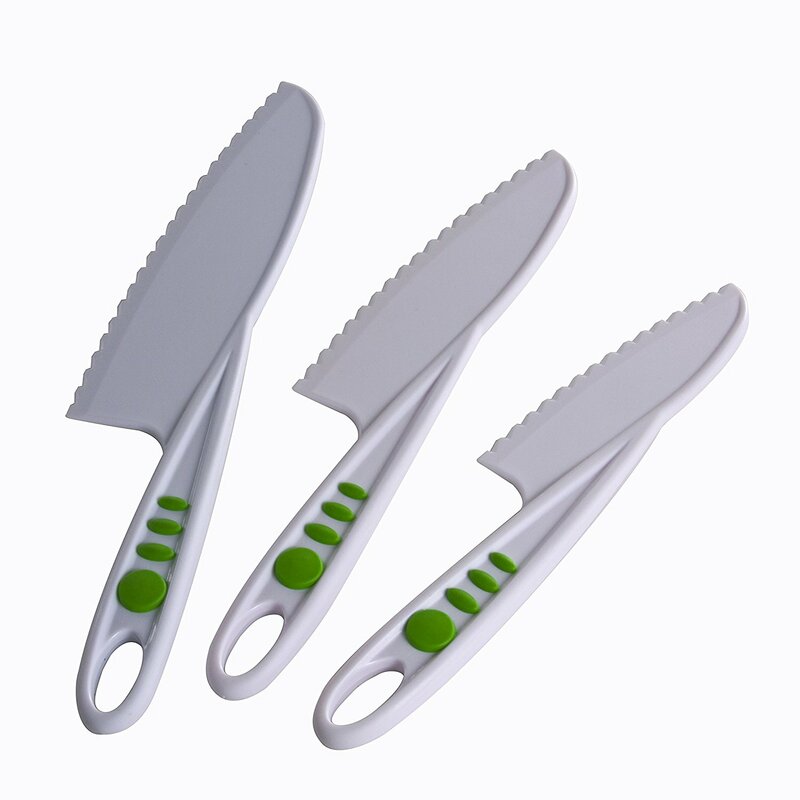 So if you have little ones wanting to help in the kitchen, why not buy them a knife set they can use all on their own. One of the biggest problems with Thanksgiving dinner is the tendency to overeat. It can be difficult to stop when there are so many delicious choices. That is why it is important to have plenty of tupperwares on hand to store leftovers. You can stop yourself from overeating, send guests home with leftovers, and save yourself from cooking for the next few days. That’s a win-win-win. 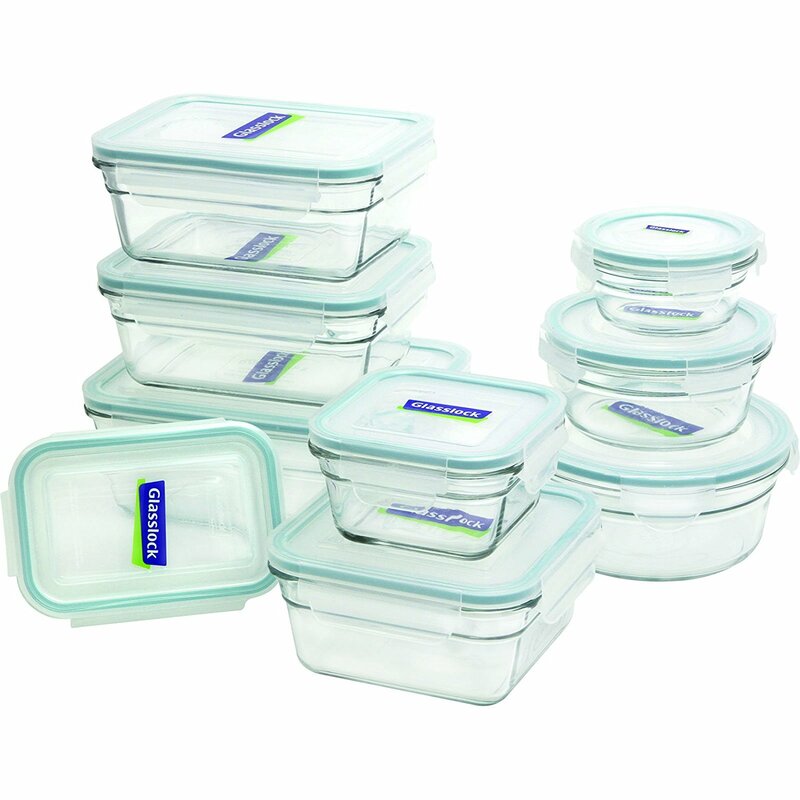 This 18-Piece Glass Storage Containers set is a great choice for durable, long-lasting food containers. 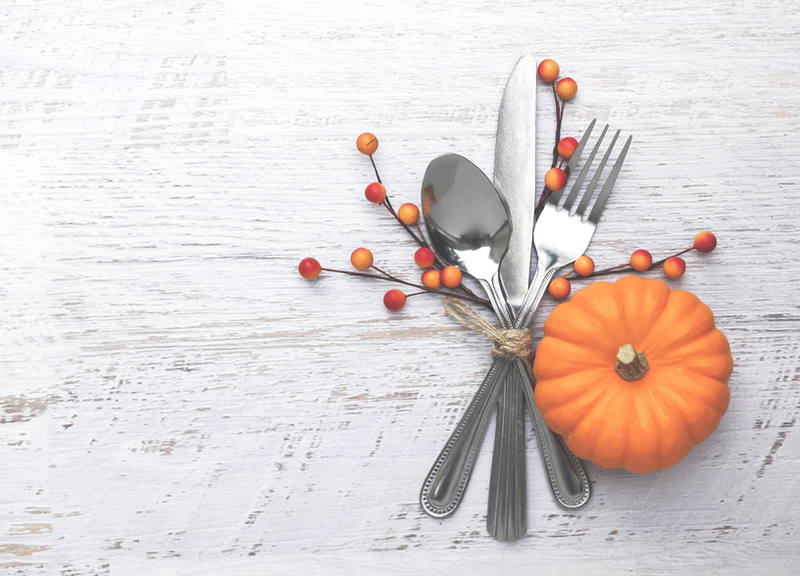 What are some of your favorite tools for a healthy happy Thanksgiving?